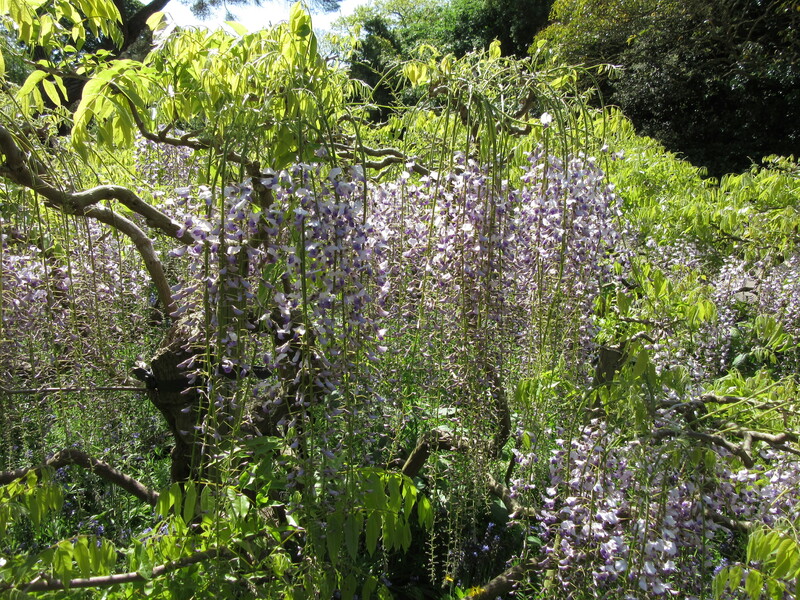 From the Queen’s Garden, skirting the Orangery for some beautiful Irises and a hint of the peonies to come – and on to two remarkable wisterias. 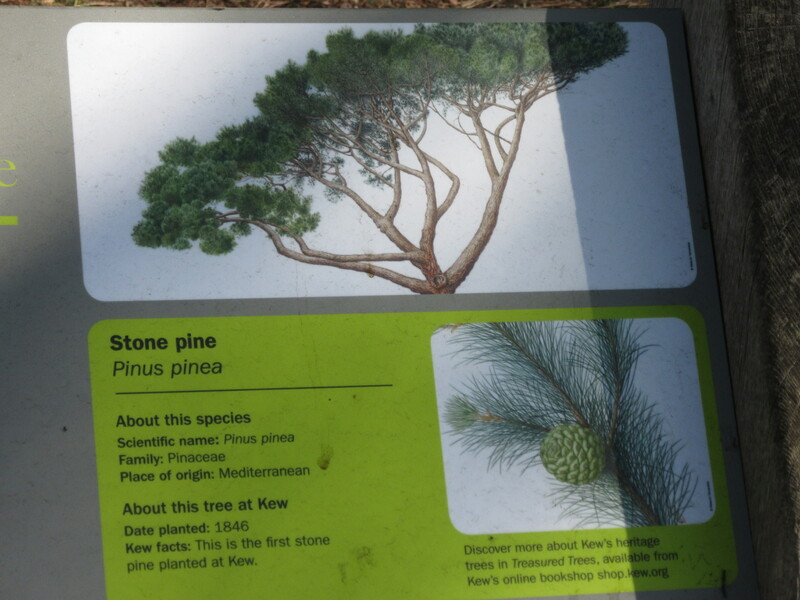 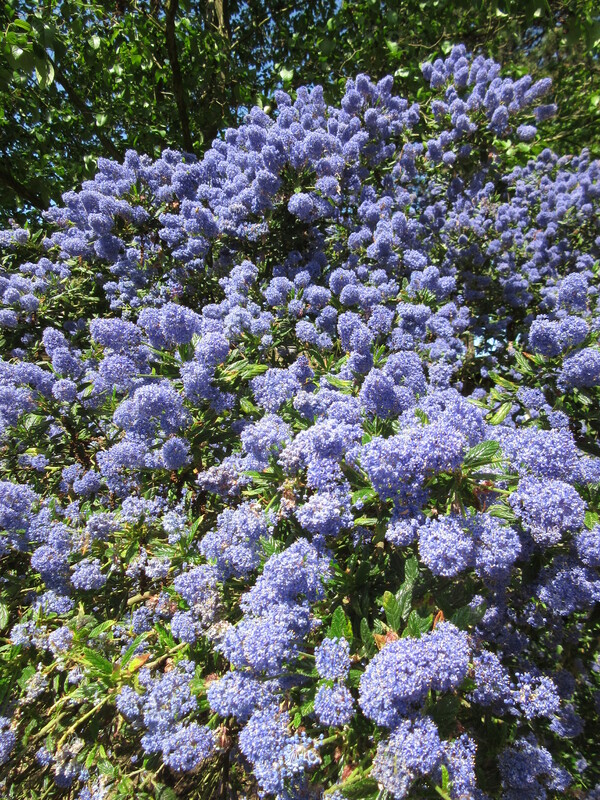 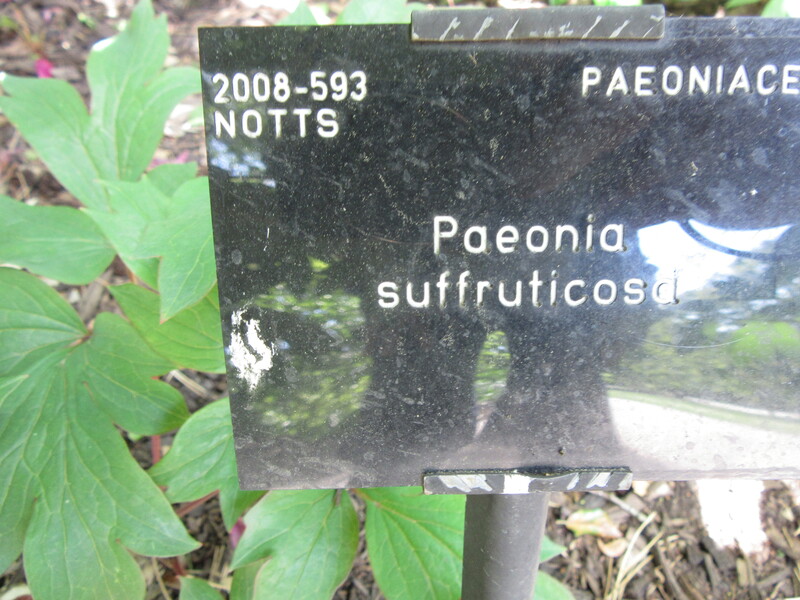 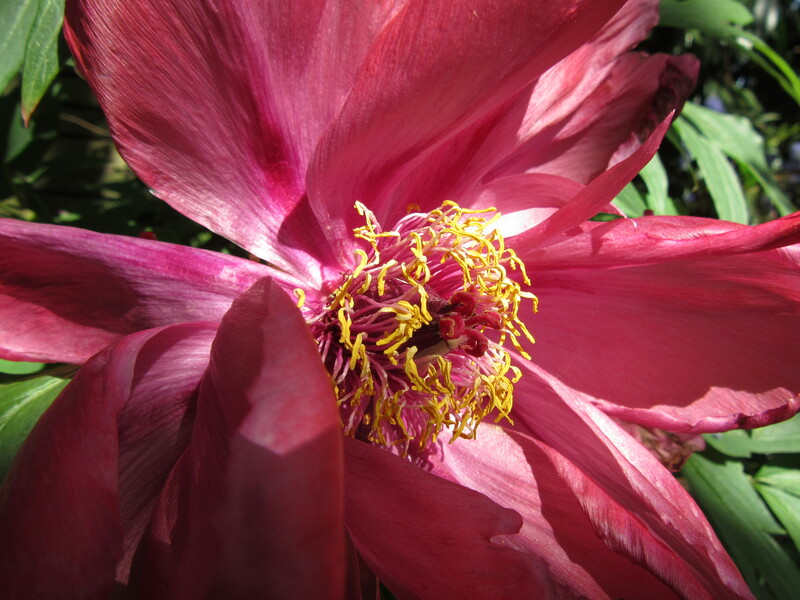 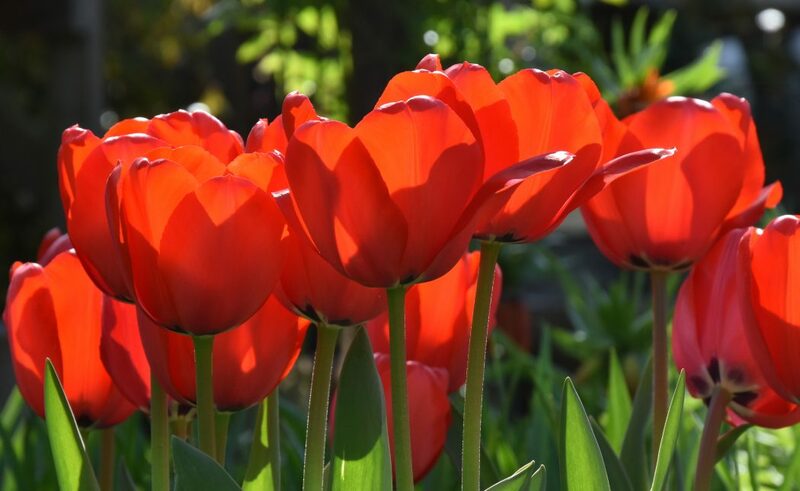 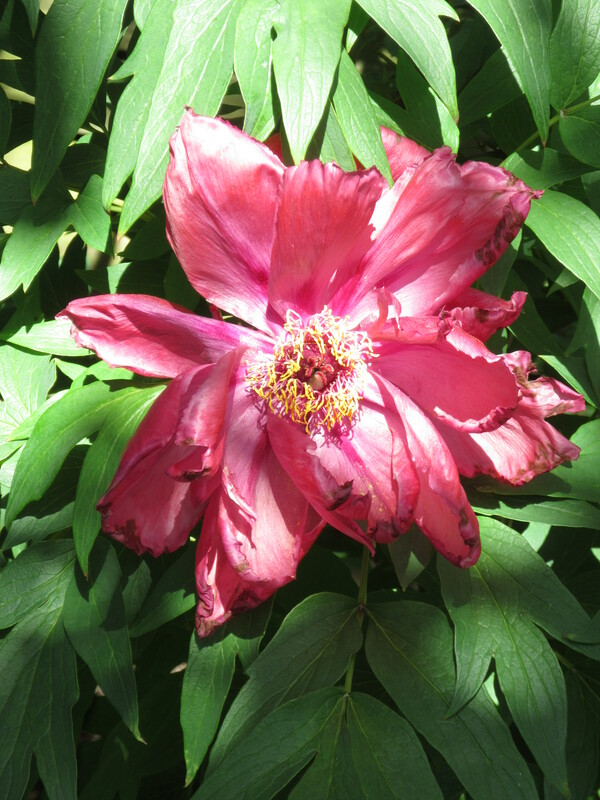 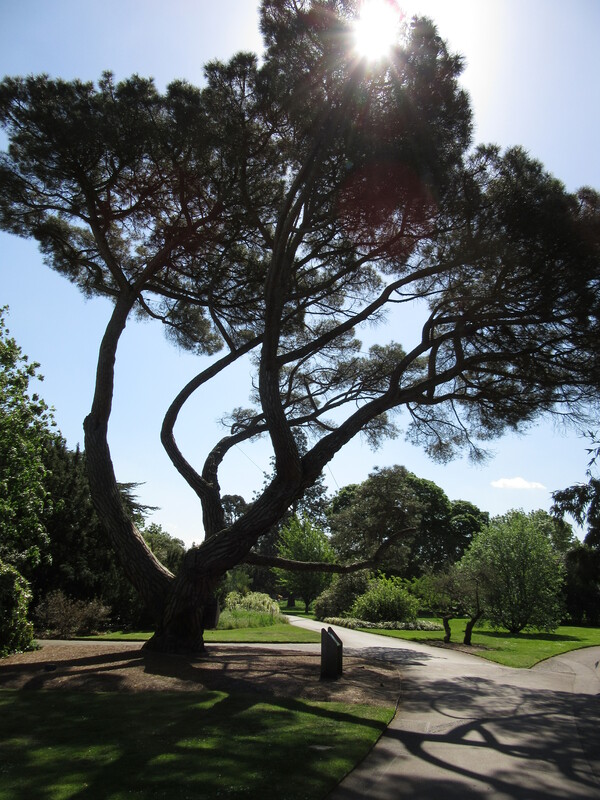 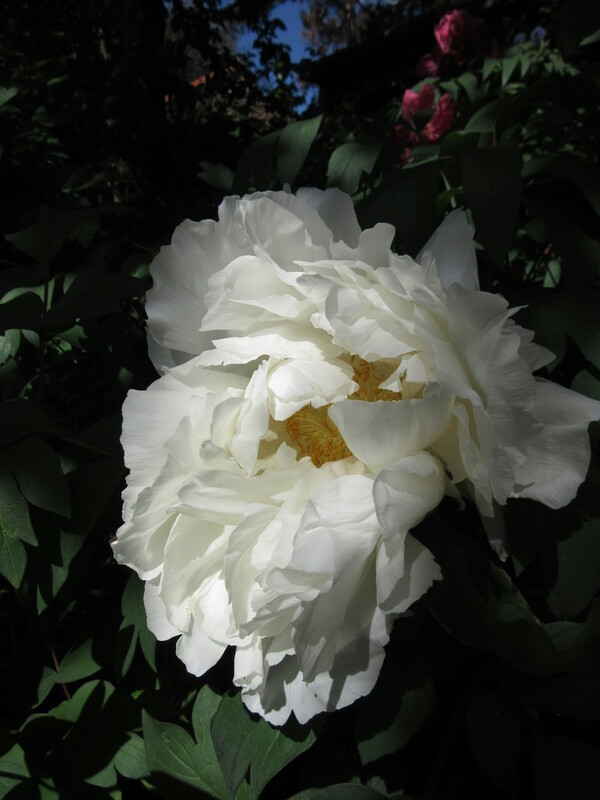 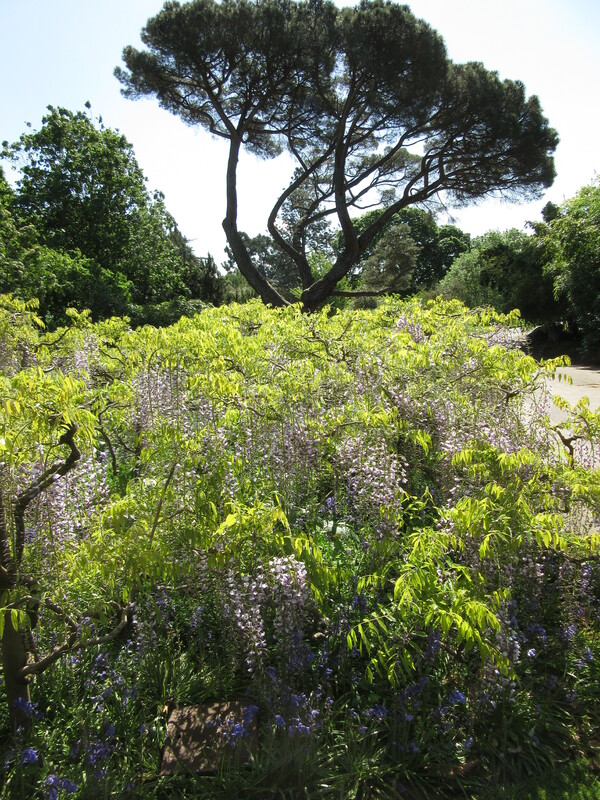 Kew Gardens – take a walk with me…. 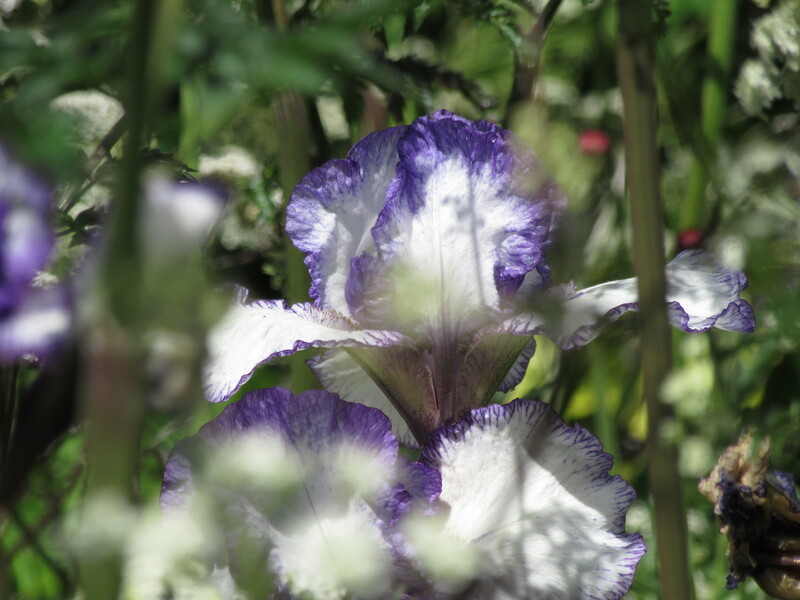 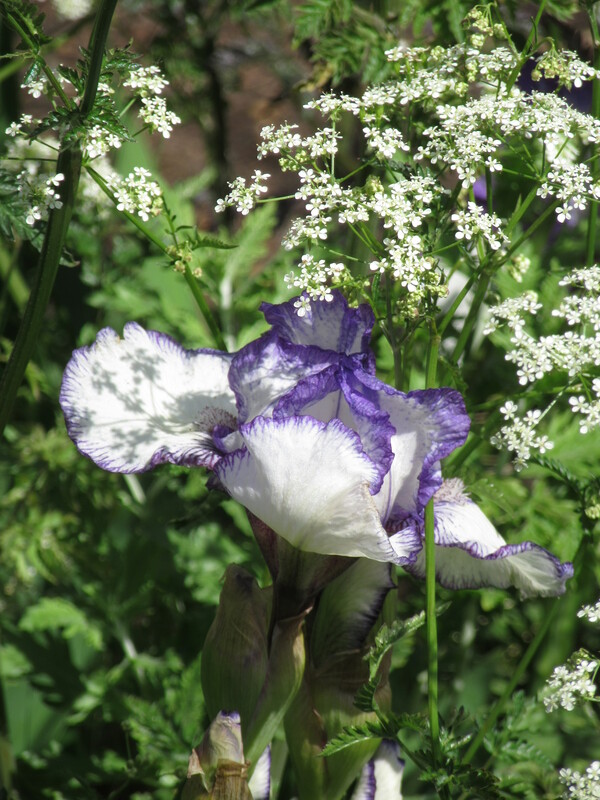 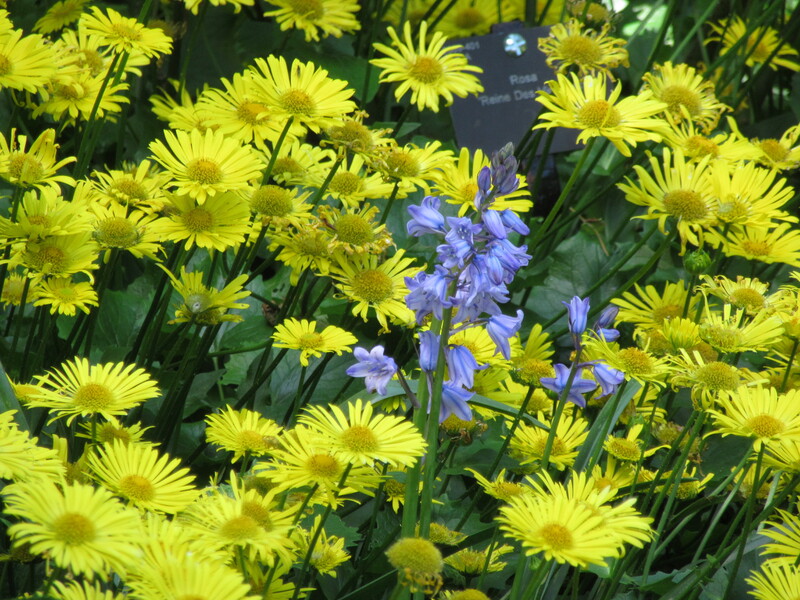 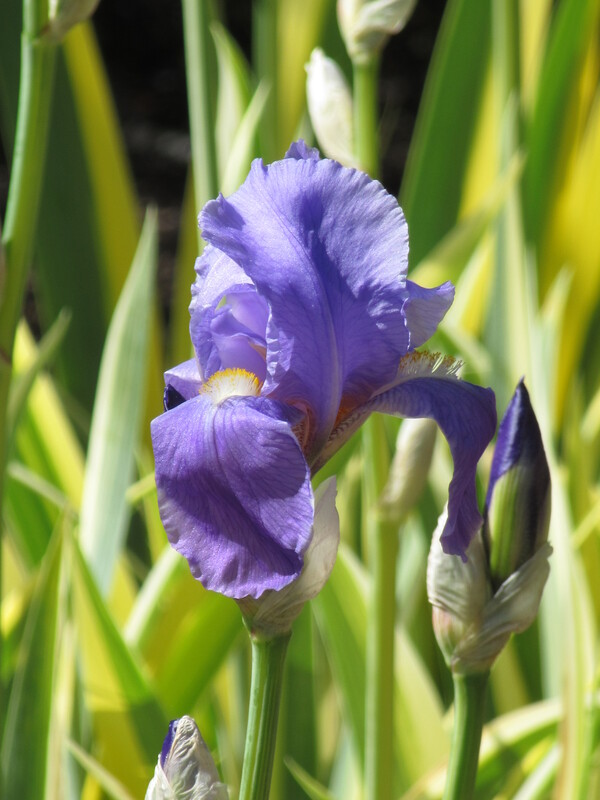 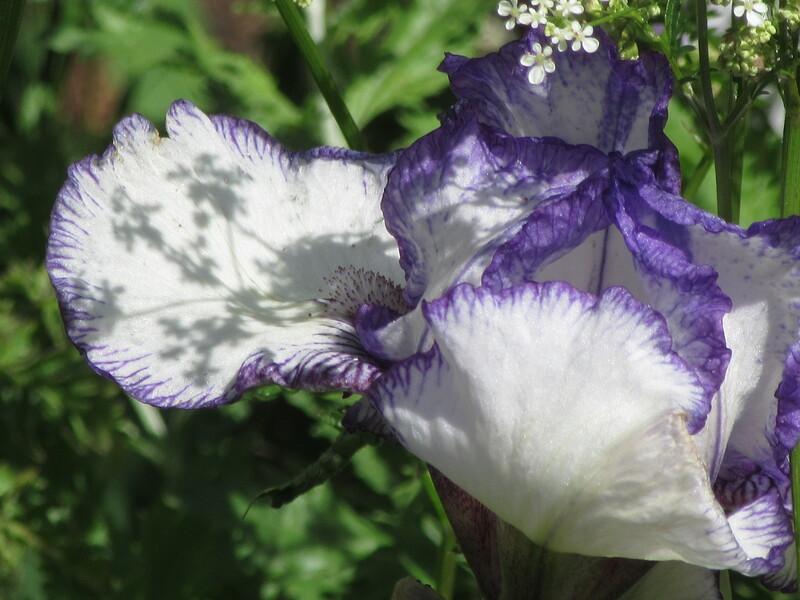 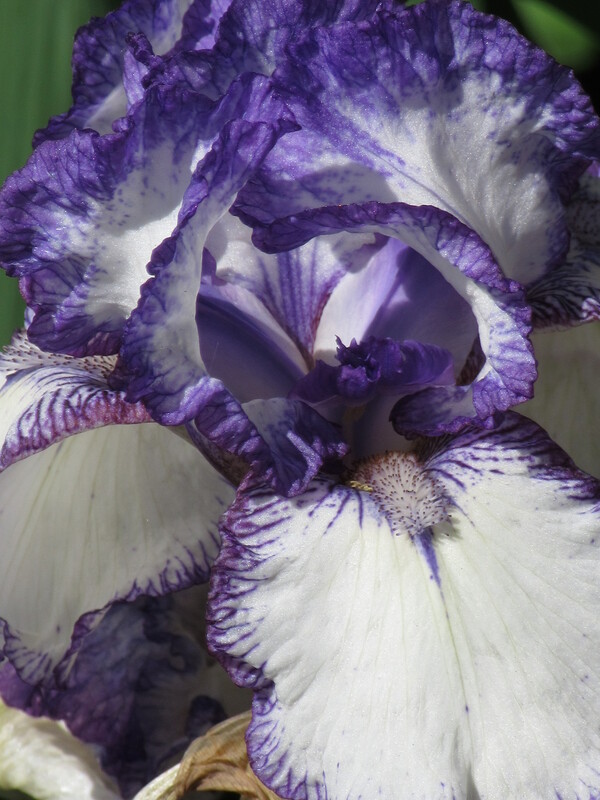 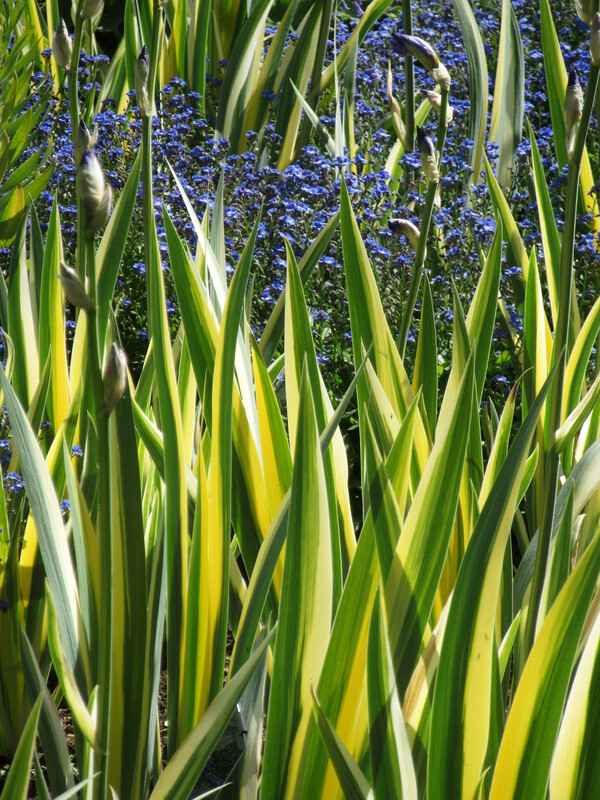 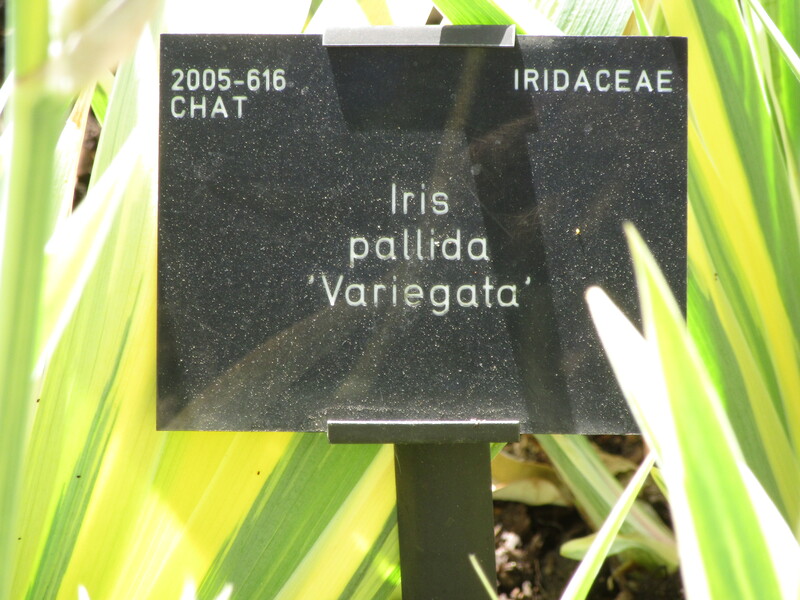 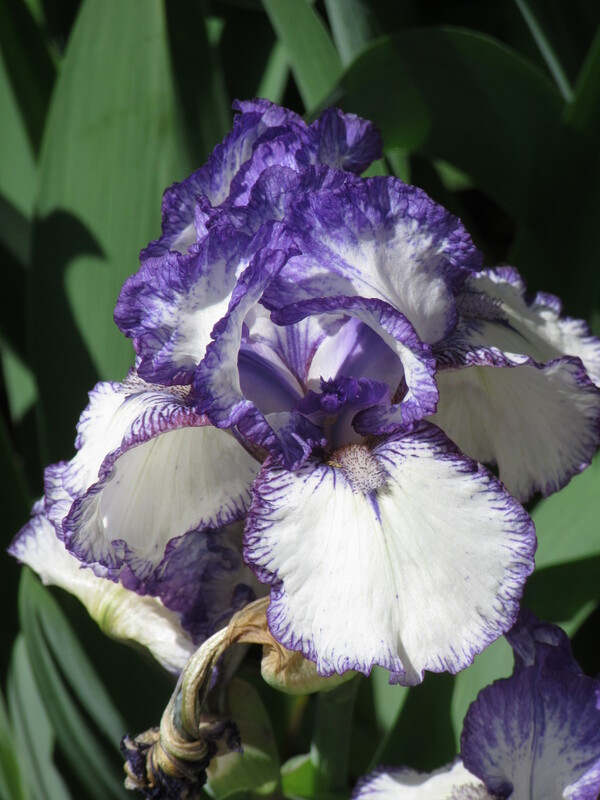 Leaving Kew Palace behind me and heading towards the Duke’s Garden, the walk takes me past several stands of striking variegate Irises, which I think would convert anyone who is averse to any varigated foliage, full stop. 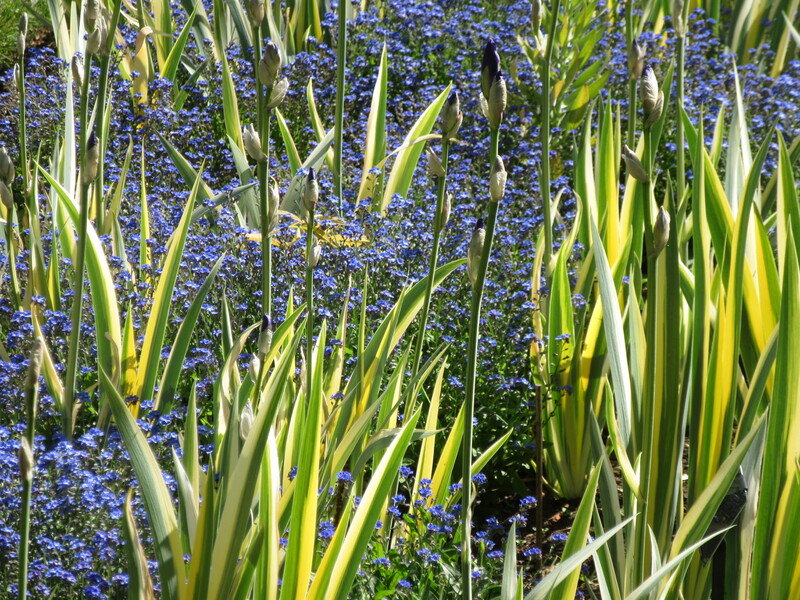 The flowers are a bonus, but the leaves on their own, especially with a froth of blue forget-me-nots, works well enough without their additions. 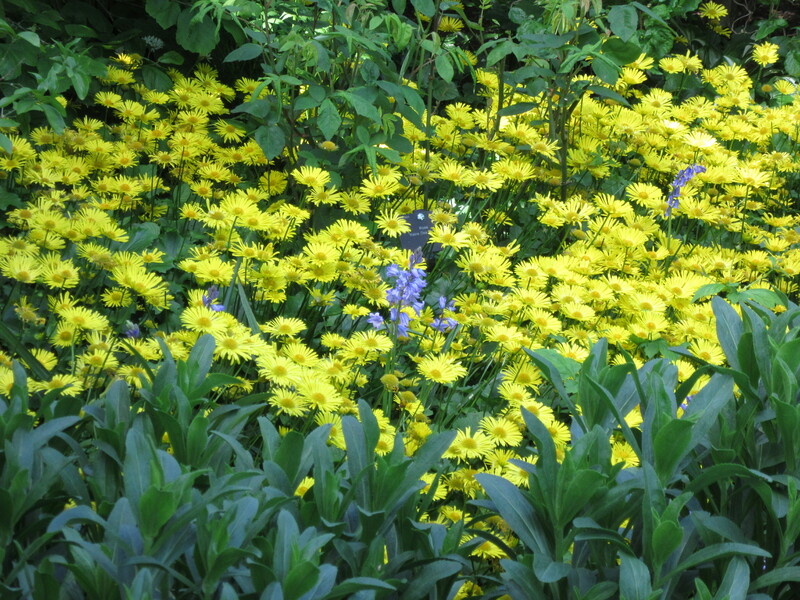 At the far end of the Orangery, there is a wrap-around border, deep, with shady spots as well as brighter areas. 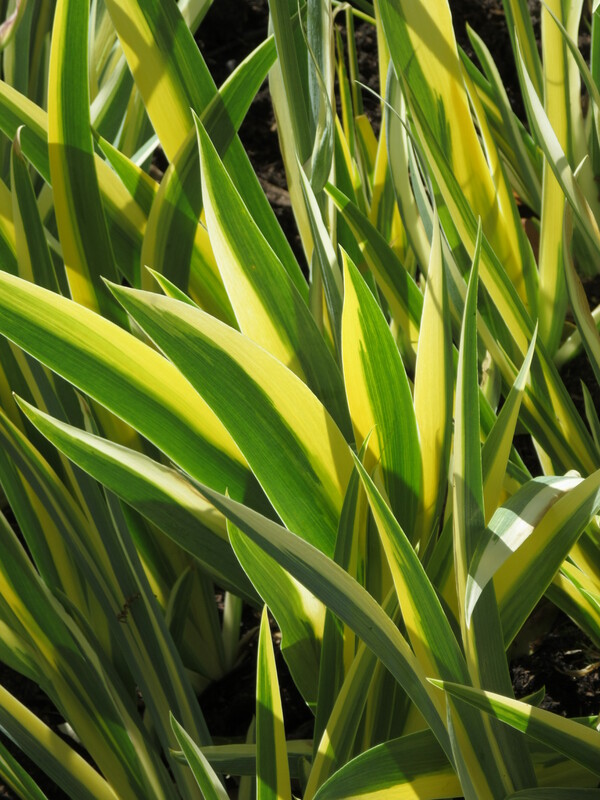 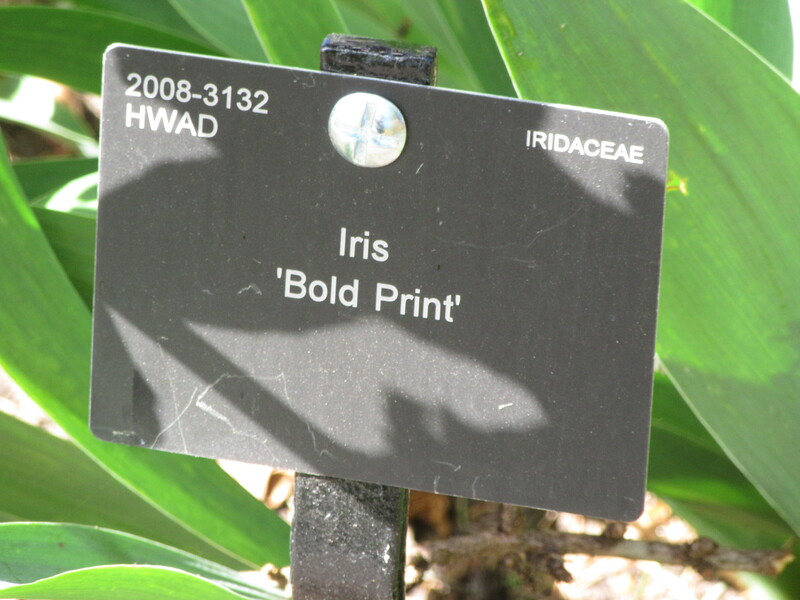 The iris Bold Print has been cleverly planted amongst a froth of Anthriscus sylvestris – green and black-stemmed varieties – and this does a lot to soften the striking appearance of the iris while making it even more graphic. 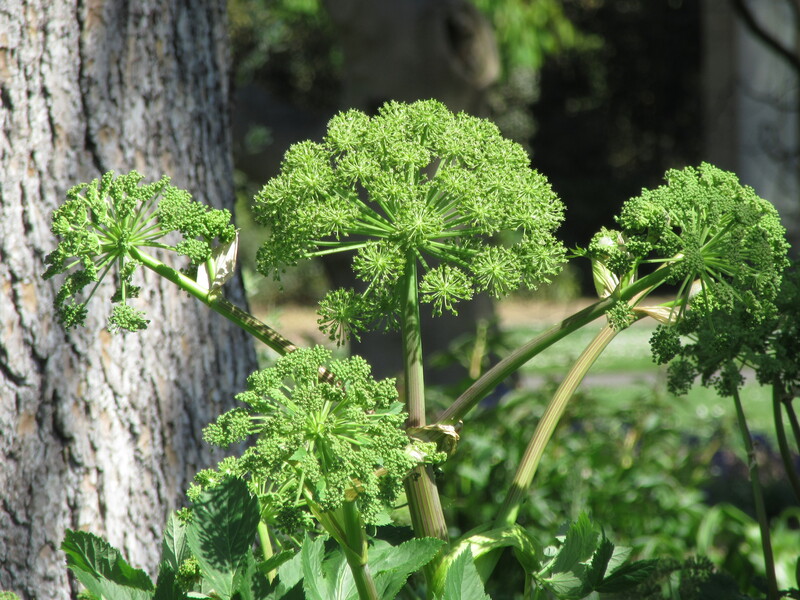 The shadow of the tiny umbels on the falls is magical. 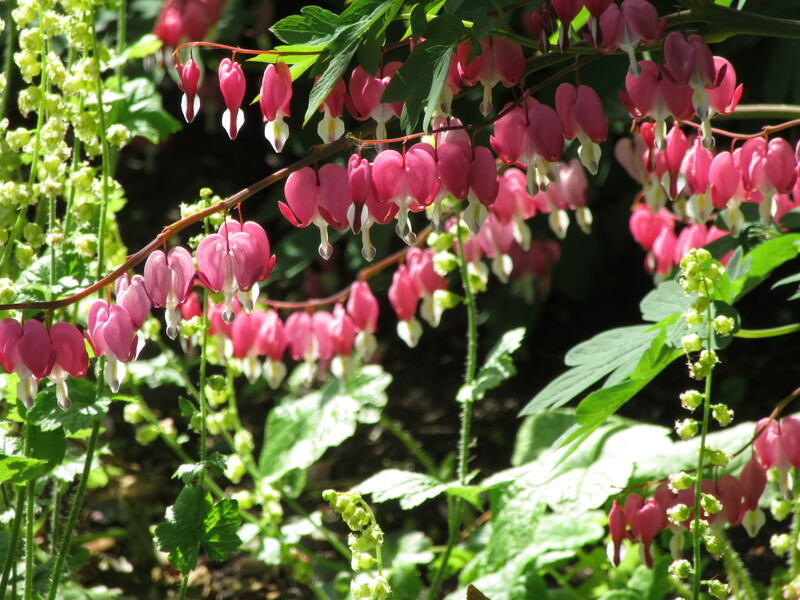 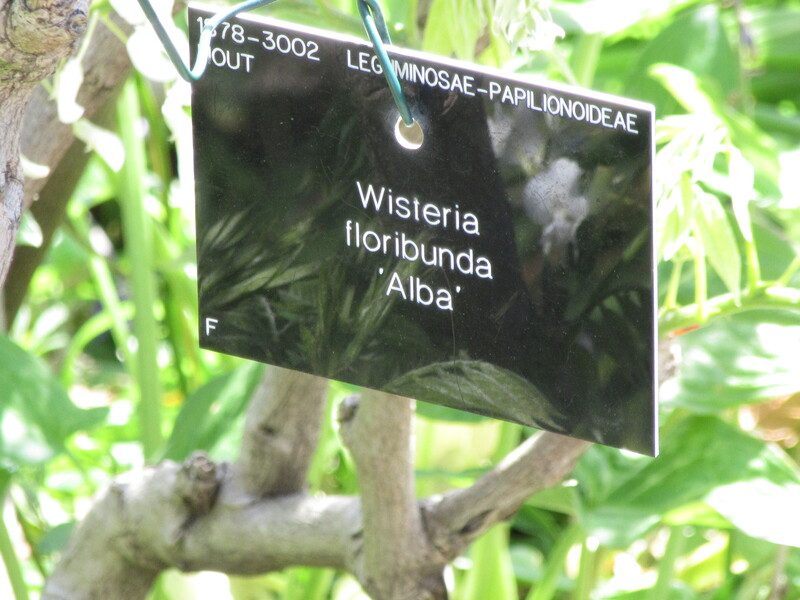 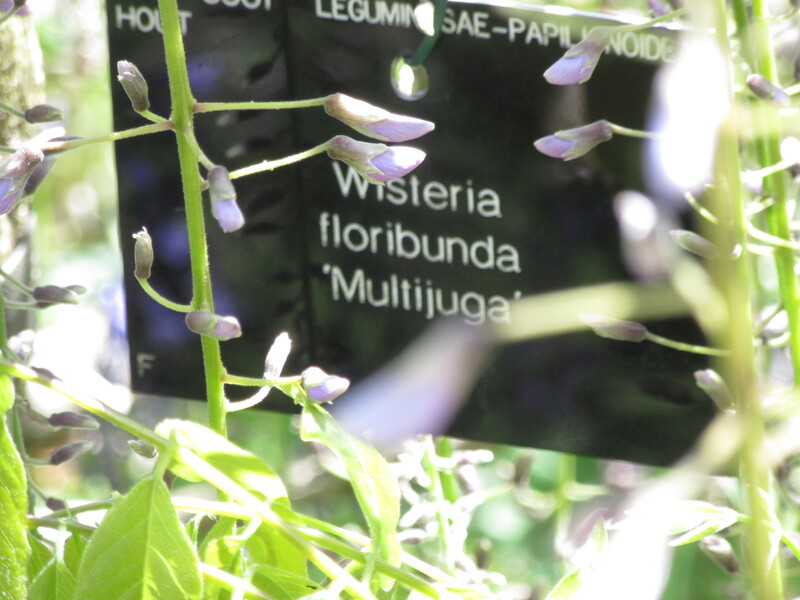 Which leads me on to two very unusual wisterias – or rather the treatment they are both given. 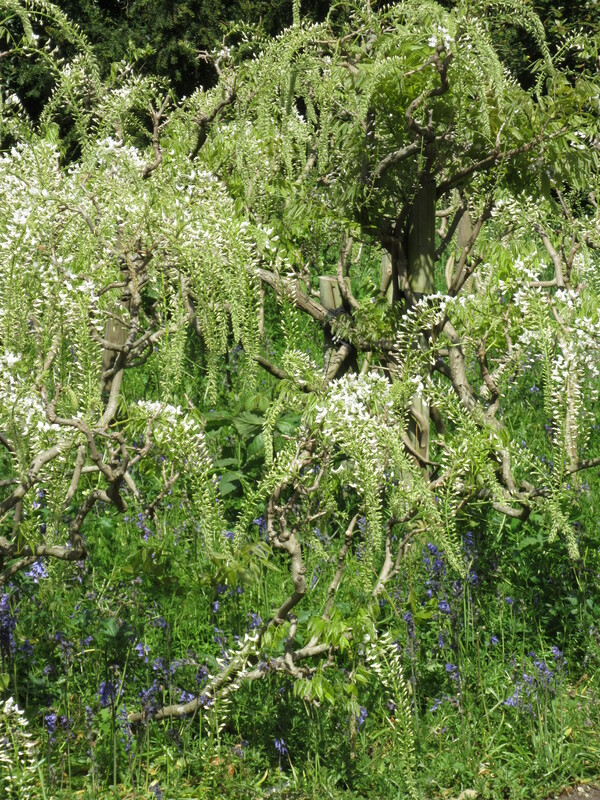 Wisteria floribunda Multijuga and a white form, floribunda Alba, are trained on short posts creating a waist-high display (underplanted with bluebells) allowing the graceful fall of the racemes while enabling you to look down onto the top of the plants – a bird’s eye view but without any altitude – and through them to the planting below. 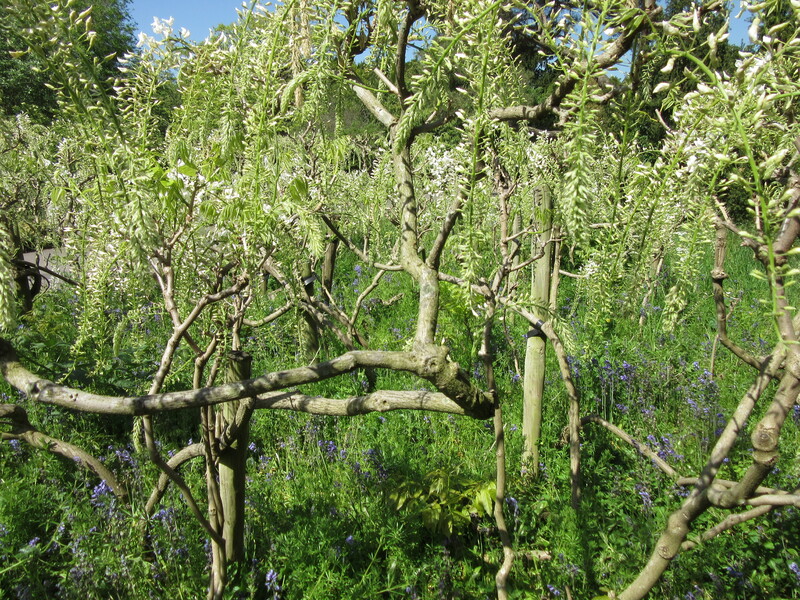 A very successful ruse, though as in previous years, it makes weeding difficult beneath the framework of these mature specimens and I wonder at the effort it takes to prune them too! 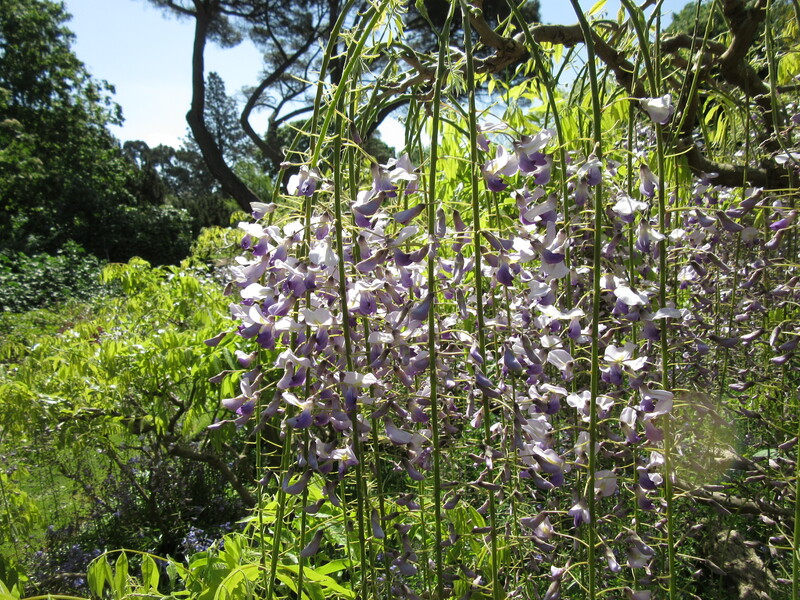 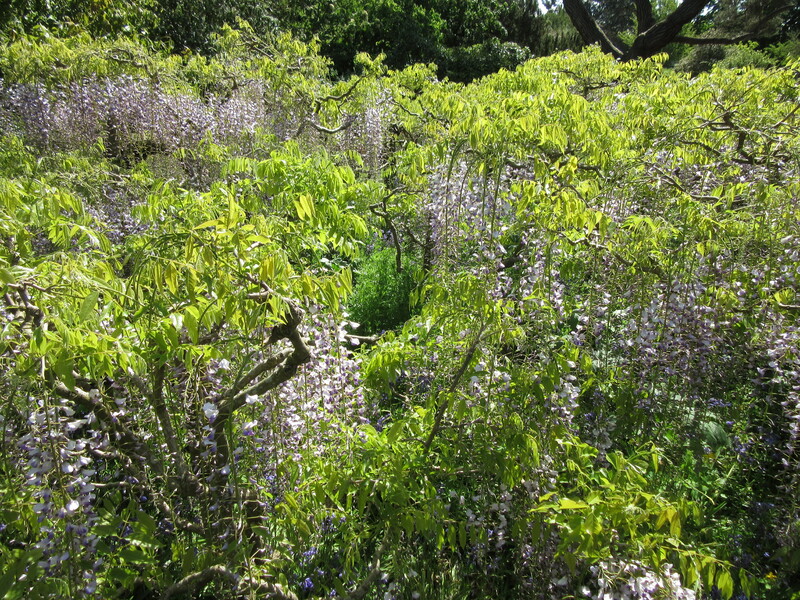 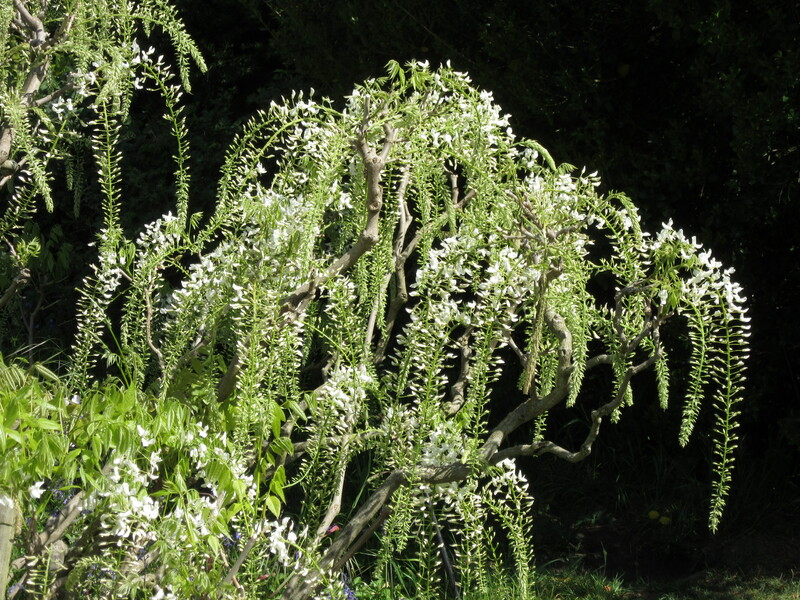 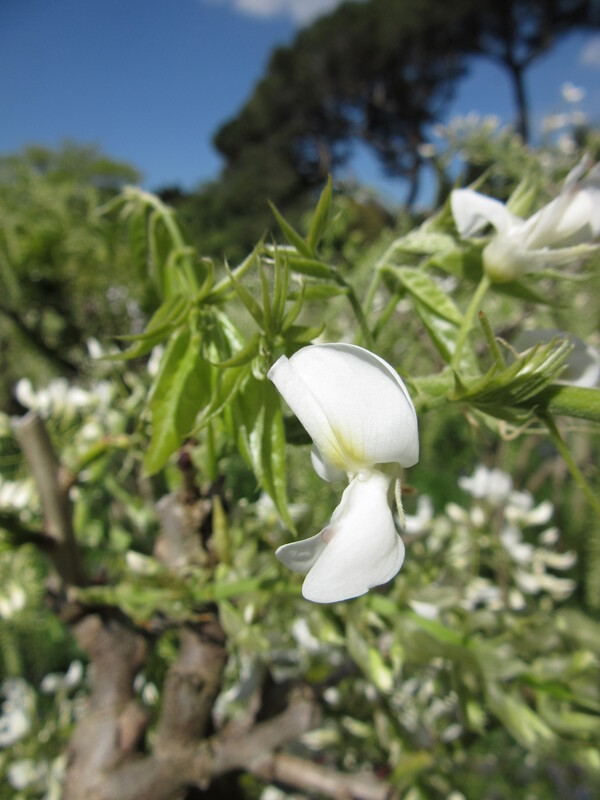 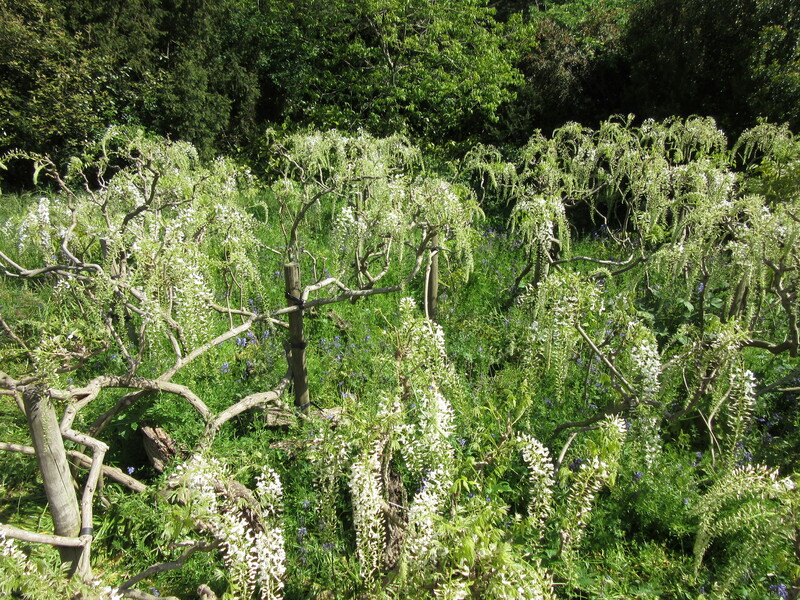 The Multijuga wisteria was going over, while the alba, the white form, was only just getting going.